We are pleased to offer an introductory primary care psychology curriculum for use in educating psychology graduate students, pre-doctoral interns, and post-doctoral fellows. WELCOME! We are pleased to offer a new introductory primary care psychology curriculum for use in educating psychology graduate students, interns, and post-doctoral fellows. The course is FREE for use by training programs (see below for more information). Modules are “plug and play” so faculty do not need prior experience or expertise in primary care psychology to teach the course. Modules can be used collectively or separately, depending on program needs and interests. There are 4 “Foundational modules” (see below for description). Numerous “Topic (subject) modules” complete the curriculum (see below for description). The fragmentation of the medical system and behavioral health (mental health and substance misuse) services significantly impedes the engagement of patients and the provision of quality care that promotes successful outcomes while lowering overall costs. Psychologists working in concert with primary care providers can facilitate the achievement of these goals. This course will help psychologists-in-training begin to develop the knowledge, attitudes, and skills to provide leadership, clinical and consultation services, as well as program development and evaluation assistance in primary care settings. 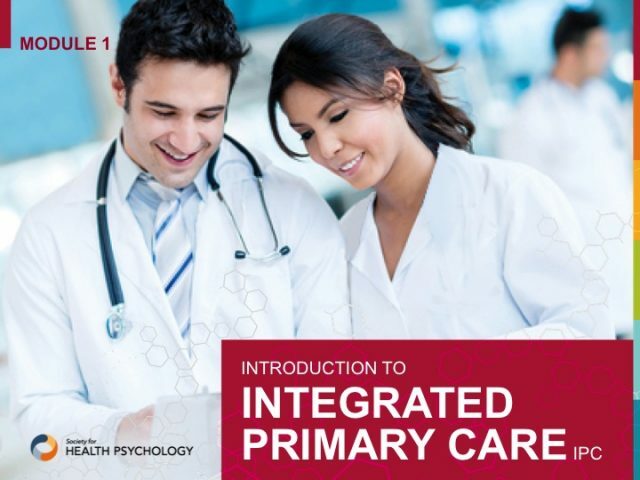 The “plug and play” structure of the course is designed to enable all graduate programs, even those who do not have faculty with direct primary care experience, offer training to students in this burgeoning area of integrated primary care. Each module includes PowerPoint lectures with faculty notes, student exercises, illustrative videos that are easily accessed when the PowerPoint is in full screen mode and wifi is available, resources, and references. Instructor manuals elucidate key concepts and provide additional readings and resources. The modules can be supplemented to meet individual program needs and individual modules can be used as colloquia lectures or as adjunct lectures in existing classes. The curriculum was developed by a core group of nine primary care psychologists with vast experience working and training in integrated primary care. Some of the topic modules, such as working with older adults and managing chronic pain, were written by experts in particular subject areas, in collaboration with the core team to ensure that they retained a foundation in primary care. This course is freely available to graduate, internship and post-doctoral faculty to enhance the education of psychology graduate students. It may not be used for self-study, duplicated for commercial purposes, or distributed without the permission of the Society of Health Psychology. Course developers also request that faculty provide feedback to facilitate ongoing curriculum revision and improvement. Complete the Interest Form to access the course and ancillary materials including a curriculum overview, sample syllabus, and a pre-post student evaluation.